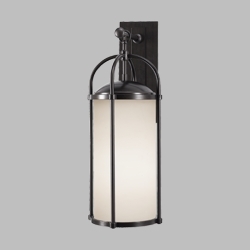 Outdoor wall lighting fixture with espresso architecture and white opal etched glass. View to coordinate other exterior lights. 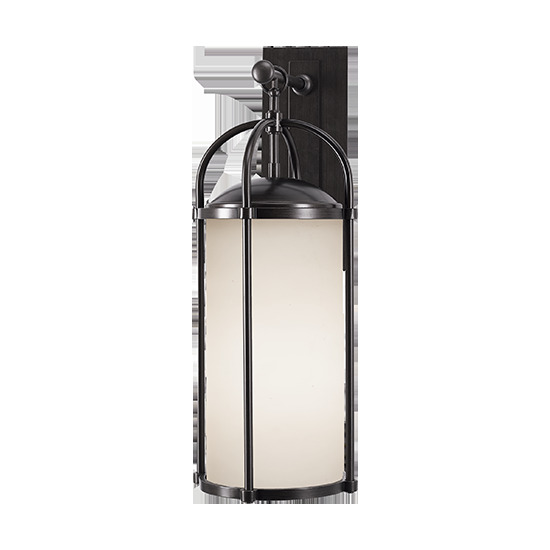 Height: 26.75" - Width: 9.5" - Extension: 11" - Bulb: 150W Medium Base. Mount top: 9.5/8"